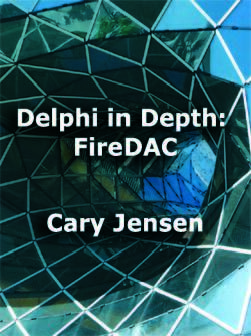 Are you looking for help with your Delphi applications and/or your Delphi team? I will be available for contract work starting in mid-November 2018. Over the past 30 years, I have primarily been a software developer specializing in database applications, but I am also the author of more than 25 books on software, and have written over 100 courses on software development. I was the author of, and principle trainer on the original Delphi World Tour in 1995, continuing until it concluded in 1999. On a related note, I am the founder of Delphi Developer Days, which began in 2001 and continues to this day. On the more technical level, I have a Ph.D. in Engineering Psychology, specializing in human/computer interaction. My studies emphasized an analytical approach, with a heavy dose of statistics. Due to my commitments to writing, Delphi Developer Days, and existing clients, I am looking for a part-time opportunity, where I can provide from one to three weeks of support each month. I love to travel, so I am particularly interested in opportunities that include onsite work almost anywhere in the world, but I am open to some remote support. If you are interested in learning more about how I can help your organization, please contact me at the following email address: cary at jensendatasystems.com.